VICE-PRESIDENT Emmerson Mnangagwa found blood on the floor at last week’s Zanu-PF politburo meeting as he arrived towards the end of tense discussions only to find his allies, Women’s League national secretary for administration Esphinah Nhari, former War Veterans minister Christopher Mutsvangwa and his wife Monica suspended for three years after surviving expulsions, Zimbabwe Independent can reveal. Mnangagwa, according to sources, had earlier requested for the postponement of the politburo meeting from Wednesday to Thursday last week saying that he had travelled to Geneva, Switzerland, on government business. “The meeting was initially supposed to be held on Wednesday last week, but was postponed to Thursday upon Mnangagwa’s request. When he realised he couldn’t make it on time on Thursday, he then made a second request in which he wanted the meeting to be moved to Friday, but his appeal was turned down,” the source said. Mnangagwa is said to have then arrived on Thursday towards the end of the meeting when his allies had already been kicked out, leaving him without much choice but to accept the decision made without trying to fight back. “He (Mnangagwa) came in late after key issues have been finalised, when we were discussing the drought crisis; so he had no chance of defending his suspended allies,” another source said. According to sources, those who had earlier on tried to defend Mnangagwa allies include Finance minister and Politburo legal affairs secretary Patrick Chinamasa, Transport and Infrastructural Development minister Joram Gumbo and Speaker of Parliament Jacob Mudenda. Mutsvangwa, sources said, was asked to leave the meeting by President Robert Mugabe after protests from G40 members who reportedly said his issues could not be discussed freely in his presence. 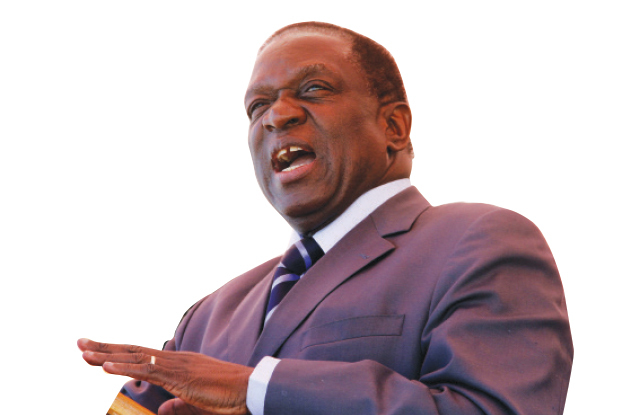 “Mutsvangwa angrily stormed out of the meeting after he was orderred to leave by the President,” the source said. Mutsvangwa had been in the eye of a storm after allegedly insulting First Lady Grace when he had a verbal showdown with Zanu-PF national commissar Saviour Kasukuwere. He was suspended at last week’s politburo meeting, while 16 Youth League members were expelled. The suspended and expelled officials are loyal to Mnangagwa who is engaged in a bitter succession battle with a faction led by Grace.